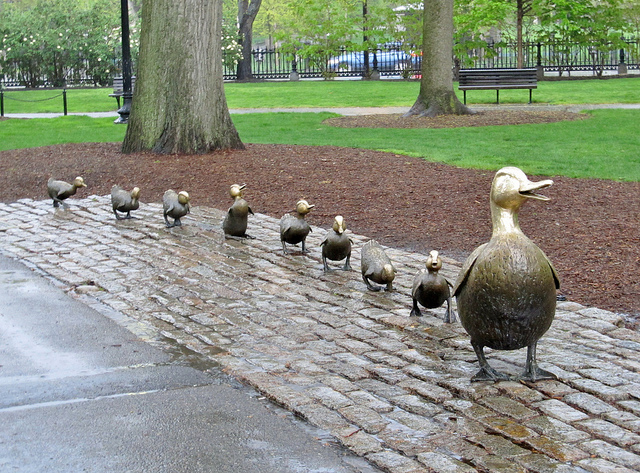 Make Way for Ducklings sculpure in Boston Public Garden; photo by Lorianne DiSabato on Flickr (noncommercial use permitted with attribution / no derivative works). 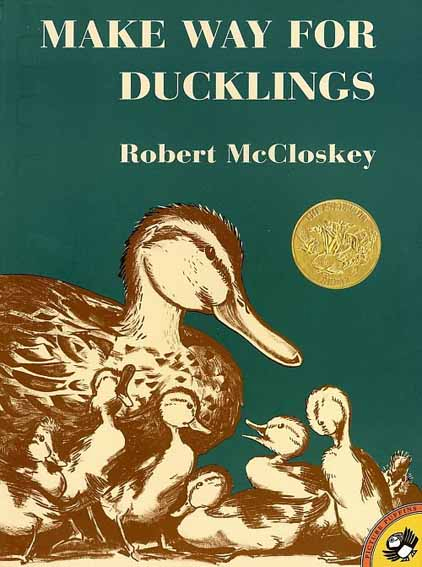 "Make Way for Ducklings" is a picture book written and illustrated by Robert McCloskey and first published in 1941. The book tells the story of a pair of mallard ducks who decide to raise their family on an island in Boston Public Garden's lagoon (Boston Public Garden is a park in the center of the city).